If some part of you can't help but picture baby-faced Leonardo DiCaprio whenever someone mentions the Titanic, we've got some news for you. Apparently, Matthew McConaughey also auditioned for the iconic and tragic role of Jack in James Cameron's Academy Award-winning 1997 film, Titanic — and he really wanted the part. In a new interview for The Hollywood Reporter's Awards Chatter podcast, McConaughey opened up about his history in Hollywood, including how his role in A Time to Kill in 1996 led him to audition for one of the biggest movies of the '90s. “I went and auditioned [for Titanic]," McConaughey said. "I wanted that. I auditioned with Kate Winslet, had a good audition, walked away from there pretty confident that I had it. I didn't get it. I never got offered that." As we all know, DiCaprio snagged the role instead, starring opposite Winslet in a tragic romance that ended with him sinking to the bottom of the Atlantic Ocean after the "unsinkable" Titanic hit an iceberg and failed to recover. How would that final scene have changed had McConaughey been the blue-lipped Jack clinging to Rose's floating door before she let him go as the rescuers finally arrived? It's almost impossible to imagine anyone else in that role, which more than one person commented on via social media. I am so glad Matthew McConaughey was NOT cast as Jack in Titanic. McConaughey also admitted he turned down roles in films like L.A. 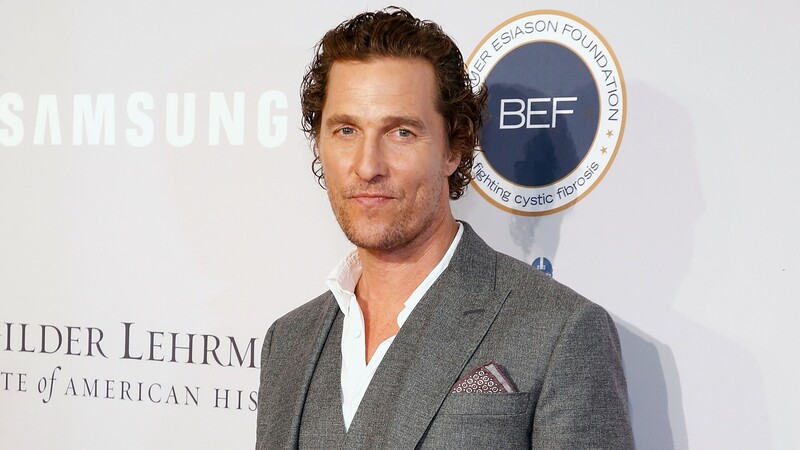 Confidential and went for small bit parts instead before jumping into the rom-com era of his career in the early aughts — between 2001 and 2009, McConaughey starred opposite actors like Jennifer Lopez, Kate Hudson (twice), Sarah Jessica Parker and Jennifer Garner in several films that shaped him into a recognizable romantic lead. "It was fun. It was great pay, and I learned that, you know what, these are not the type of movies to dig deep [within one's own experience]," McConaughey said on Awards Chatter. "They were 'Saturday characters.' I remember saying, 'I'm gonna give myself another Saturday!'" He added, "They were fun. The pay was great. I was looking forward to them. I enjoyed going to work. I was also living on a beach and going out without my shirt on, just like I did before I was famous. I was living a romantic comedy." After 2009, McConaughey turned down any rom-com or action comedy roles he was offered, per THR, and eventually, he was offered more serious projects — nothing quite like Titanic, but films serious enough to get him back in the ranks of the Hollywood elite. He even won an Oscar in 2014 for his performance in Dallas Buyers Club (beating out DiCaprio, who was nominated in the same category that year). Now, with his new film White Boy Rick, he's still challenging himself — so he didn't even need that sinking ship to shoot to stardom.